At least 12 crew members of a Chinese military aircraft were killed when it crashed during a training exercise early this week, exposing the "fatal gap" between technology and training, a media report said on Thursday. The People's Liberation Army Air Force has confirmed that an aircraft crashed in the southwestern province during a training exercise on Monday. At least a dozen crew members were killed in the fatal crash, Hong Kong-based South China Morning Post reported today quoting a Chinese Air Force source. The crashed aircraft was a new type of refuelling plane modified from the air force’s Y-8 transport aircraft, it said. The accident exposed the "fatal gap" between the air force’s ambitions and its technology, the report said. "There were about a dozen men and women on board and none of them managed to escape when the plane went down," the source, who requested anonymity, told the Post. "There are no ejection seats on those aircraft, so the pilots and crew members would have been relying on the parachute packs on board. But they wouldn’t have had enough time to jump because the aircraft fell so fast," the official said. The incident had undermined morale in the air force because it happened just a few weeks after a J-15 carrier- based fighter jet crashed, the official said. Another official said it was not known whether there were any casualties from the J-15 crash last month, but added there was growing concern in the air force that there could be more accidents as flight drills were stepped up. The defence ministry did not respond to a request for comment today. Since he took over power, Chinese President Xi Jinping is pushing all three forces of the military to go for live fire drills depicting battle conditions to win wars. The air force last year began intensive drills in the region using warplanes, including regular "encirclement" air patrols close to Taiwan and real-war combat exercises over the Pacific Ocean, which it said aimed to show it could break the "first island chain". The chain is a series of archipelagos lying between China and the world's largest ocean that Beijing says has been used by the US as a natural barrier to contain it since the Cold War. But another official said the two recent crashes showed that China's "imperfect" military aircraft might not be up to the task. 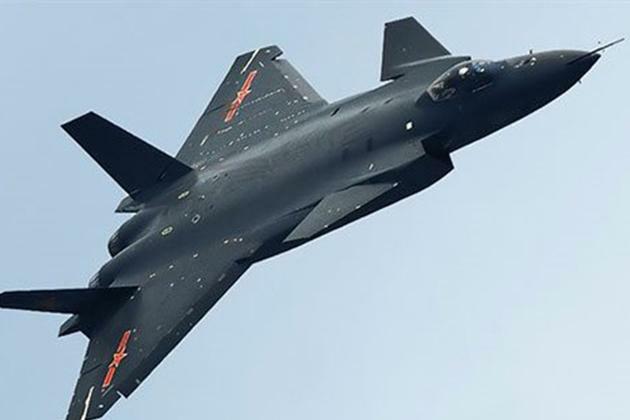 "We must recognise that in China, there is a fatal gap between the air force's combat-ready training and its imperfect aircraft development," the official was quoted as saying by the Post. "Both the Y-8 and J-15 have some problems, including the engines, aircraft design and modifications. But instead of carrying out more test flights, the pilots are pushed directly to fly the warplanes, even though they’re imperfect, because there is this political mission to 'build a combat-ready fighting force'," the official said. Chinese pilots were taught that saving the aircraft, not their personal safety, was the top priority. "This type of training and education has pushed China’s aircraft development forward, but at what cost? Life is precious," he said. There could be more accidents in the future, the officials said, because the military was under huge pressure from the top leadership of the Central Military Commission to conduct more live-fire and all-weather drills.